Your Trusted Source for Divorce, Family Law, Estate Planning, Probate, Elder Law, Mediation, Collaborative Divorce & more. 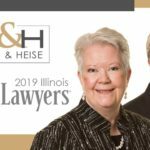 Bush & Heise is a team of award winning attorneys located in Barrington that has served clients throughout Cook, Lake and McHenry counties in Illinois for more than 40 years. Our attorneys have dedicated their careers to the practice of family law, estate planning, elder law and probate. Legal issues often bring unwelcome and unnecessary stress to the lives of all those involved. A knowledgeable attorney representing your rights can make all the difference. If you have legal concerns, do not hesitate to speak with an experienced attorney at Bush & Heise, Attorneys At Law. We are ready to handle your case. If you need legal assistance with a family law or estate planning matter, contact a Barrington divorce attorney serving Cook, Lake and McHenry counties or call us at 1-847-382-4560 to receive a free initial consultation and detailed assessment of your situation. We offer evening and weekend appointments for your convenience. Family law matters can take a significant financial and emotional toll. Working with an experienced family law attorney, however, can make the process much easier to bear. As we age, the need for medical care and assisted living becomes increasingly apparent. Costly procedures and living arrangements can quickly diminish a lifetime’s worth of retirement savings without proper planning. Our attorneys have over 40 years of experience assisting clients with elder law matters. We actively seek alternatives and devise unique resolutions for your legal situation. Probate is the process of administering an estate to beneficiaries after the owner of the estate is deceased. A knowledgeable estate administration lawyer is essential in order to successfully navigate this process. Our attorneys have the experience necessary to sort out any complex issue arising from the probate of an estate. 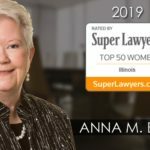 We are proud to serve clients throughout northern Illinois, including communities in Cook, Lake and McHenry Counties with respect to matters of family law, estate planning, elder law and probate. If you have legal concerns and are unsure of what to do, contact an experienced family law attorney or estate planning lawyer at Bush & Heise today. Call us at 1-847-382-4560 or click here to schedule a free initial consultation for an honest and straightforward assessment of your case. We accept Visa and MasterCard payments, and we are available evenings and weekends by appointment for your convenience. Bush & Heise is a full-service family law, estate planning and elder law firm located in Barrington, IL. We represent clients throughout northeastern Illinois including the communities of Algonquin, Arlington Heights, Barrington, Barrington Hills, Bartlett, Buffalo Grove, Cary, Crystal Lake, Deer Park, Fox River Grove, Hawthorn Woods, Hoffman Estates, Inverness, Kildeer, Lake in the Hills, Lake Zurich, Long Grove, McHenry, Mount Prospect, Mundelein, North Barrington, Palatine, Rolling Meadows, Roselle, Schaumburg, Streamwood, Wauconda and Woodstock.